Accordingly, there are different ways to define mother tongue. Wikipedia lists the criteria as based on (1) origin, (2) internal identification, (3) external identification, (4) competence and (5) function. Even then it doesn’t help to clarify things. Or maybe I am just overthinking something simple? In my family, we speak a mix of four Chinese dialects (from across three different dialect groups). More often that not, we would roll out sentences with all four dialects in use and nobody would even bat an eyelid. Everyone understands each other, although non-family members who speak only one or two of the four would inevitably be lost in the conversation when we contaminate our discourse with the other dialects. In school, we were taught both Malay and English. However, as time goes by, English becomes the dominant language of my life, considering I lived in an English-speaking country (Ireland) for over a decade. Meanwhile, I start to struggle with Malay. I still read it well and have no problem understanding most of conversations but speaking it is tough. Clearly, the lack of practice hits me hard. 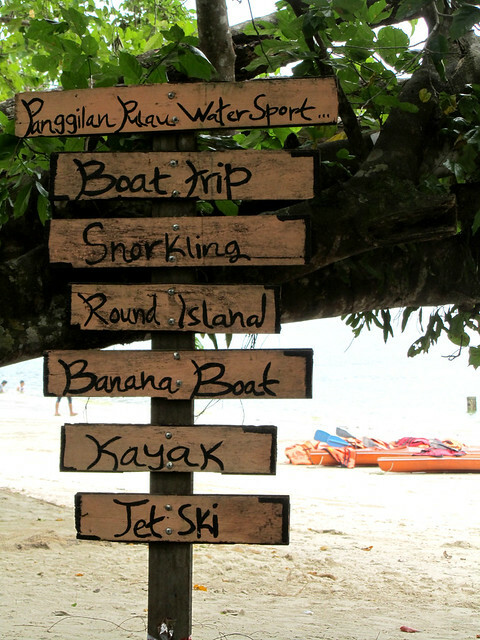 Each holiday back in Malaysia in recent years, it took me days to get my local lingo-mojo back! For now, I remain proficient in Chinese but I dare not claim fluency in any of the dialects. Afterall, my knowledge is based on informal learning at home and through television (they do wonders to language learning when you are young, honestly). Apart from Mandarin lessons when I was 7-8 years old, I have not been tested in Chinese examinations of any kind since. Nonetheless, it wasn’t a problem for me identify my mother tongue up until my teenage years. It was always Chinese. Today, however, English is my foremost used language, and how most people identify me as an adult. The debate within now is, which between the two is my mother tongue or first language? I think I’ll just skip the dilemma and go ahead with “I’m bilingual”. How does one accurately gauge one’s level of language competence? I have debated with my friends, disagreeing their assertion of my proficiency, believing I am not as good as they claim. Let’s delve a little into it. Language fluency takes into account the following components: (1) reading, (2) writing, (3) listening and (4) speaking. I am confident that I score 4/4 in English (with odd grammatical errors here and there), but I can’t say equally the same for Chinese. I could not write beyond some basic characters unless I am aided by computers which allows me to phonetically type what I want to say and I subsequently choose the corresponding characters from a list of words with the same sound. In this case, am I still deemed as proficient in Chinese writing? As for conducting conversations, vocabulary is a limiting factor and I feel I must fill in this gap of my knowledge first before I can claim fluency. The impostor syndrome hits me every time someone tells me he/she is envious of my “linguistic ability”. “4 languages!” or “7 languages!” (depending if you count the Chinese dialects separately) may seem a lot to someone growing up in a single-dominant language culture, but in my family, I’m really not very special. Everyone speaks pretty much as many dialects/languages as I do. I have French added to my repertoire but I also have cousins who have previously learned French (not sure how much they remember though) and one of them even boasts fluency in Irish in addition. Another is currently learning Japanese. No brainer – everyone knows that language proficiency is lost when it is left to go rusty with time. Personally, the days of my maximal ideal in Malay have long passed. Nowadays, I am happy if I manage to hold a conversation for 5-10 minutes without borrowing from another language. But it does come back to me with some practice (and time). However, I believe this is possible likely because once upon a time, I was a fluent speaker. Languages fascinates me even if I don’t always have the time to properly study them. I have dipped my toes into the foreign territories of Italian and Arabic but ideally what I’d like is an opportunity to really work on them. I coped with Italian better for its many similarity to French. 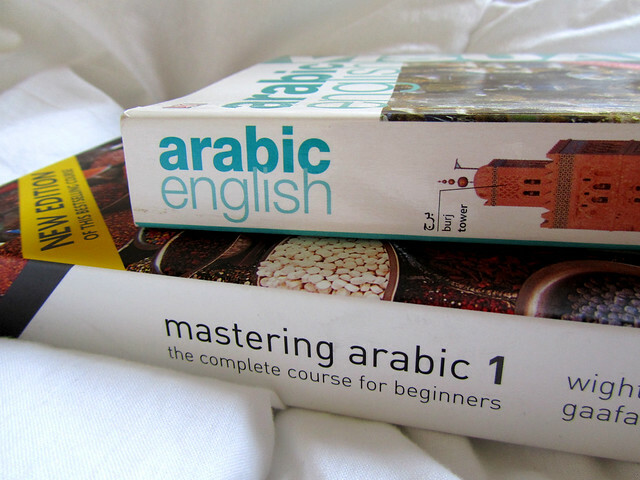 Arabic was another beast altogether. Its complex writing system compounds with guttural sounds means I have a lot more work to do before I can even realistically use it even at a basic level. I supposed it didn’t help either that I was learning it via French! Learning new languages as adults is challenging. I find the more diverse a language is from those that I already know, the more time and effort I need to invest in it to make it stick. I also learn better with visual aid. The ability to match a written word relative to its sound matters. Some teachers think it’s easier to learn by listening and repeating words and phrases, but I had to disagree because this method doesn’t work for me. I need the connection between visual, aural and oral in tandem. 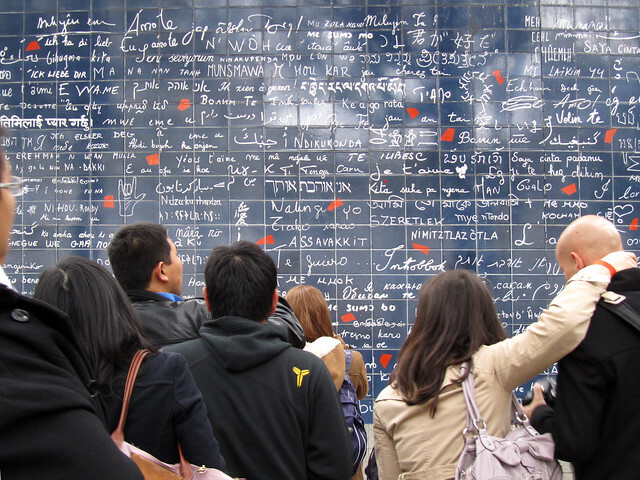 Tell me – how have languages shape the way you communicate and set up opportunities or barriers in your life? How do you represent your proficiency to others? Do you have any language wish-list? What are your tips in learning languages and maintaining them efficiently? I always tell people my English is of “native fluency”, Tamil is my mother tongue, I speak french as fluent as tamil (maybe more so, but I’m ashamed to say it), followed by hindi (excellent accent, but child-level vocab), and then german at a basic conversation level. I never count Italian, of which I know only a few verbs and words. And not yet Spanish, which I’ve started learning now, and can only do kindergarten-level talks about cats, bats, and rats. I never mention the fact that my proficiency at written tamil is quite low. I can read at a decent clip, but writing is very hard. The problem is that spoken and written tamil are quite different. Written tamil is always in the formal or “pure” language (“Sen-tamizh”), and since I’ve never learned Tamil formally, I have almost no knowledge of it. And you know I feel the same way. That mental shifting of gears, after having spent considerable time speaking in one language, is always a little slow. Even worse when juggling more than two. The worst was during the 5-hour German classes. Words of french slipping out, and my english coming out horribly for several hours afterwards. But the european languages never seem to affect my indian speech. Does it affect your chinese? I think the dissimilarity is too much even for an unconscious mélange-ing. See what I did there? That’s how we speak at home, albeit with a mélange of English, hindi and tamil. So there’s “Tanglish” and “Hinglish”, but I still haven’t come up with a name for what we speak at home. I have waaaay too much to say on this subject! I love speaking to people in their own language. Makes them friendlier (and instantly impressed). Tips? I practice. By writing to friends, often switching to a different language while I think. And I’m always on the lookout for sites that make learning fun, or make a game out of it. And, after reading 1984, I like to think that knowing multiple languages makes me a better thinker. you’re right that european languages not affecting my chinese dialects. strange that. i dare not even think about my wish list right now. first and foremost though, would be to get my french right and proper! i think this is a very funny point. Loved your post, Lilian!! With Santi, we’re starting to speak our own mix of Spanish and English, which means I can start a sentence in Spanish and end it in Spanish or replace words or so on. Must sound quite weird from outside! And when I’m back to France, my first day is dreadful and I do lots of mistakes in my own language !! good to know it’s not just non-native struggling with language after a period of unused. have a good weekend and say hi to santi. hmmm…. is it good or bad that I think and dream in both English and Hokkien? Occasionally I still dream in Malay! schizophrenic horr? i think my English is mostly as fluent as my French and yet i have a hard time saying i’m fluent in English… i make a good amount of mistakes and often enough have to spend some time finding the right word. 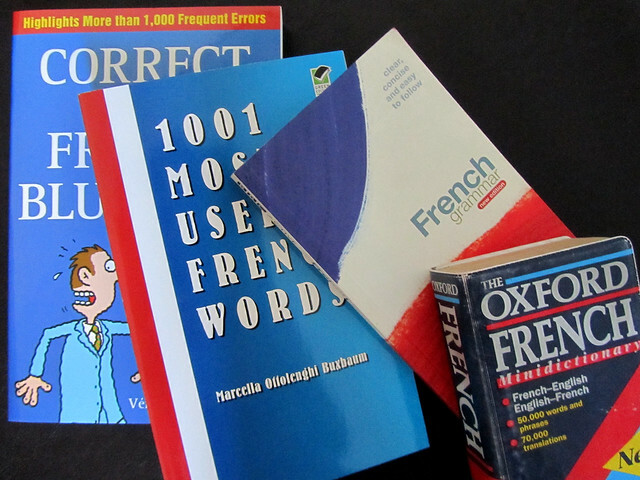 obviously, French is my native tongue, but i’m afraid i’ve learned English too young and i make mistakes in both languages (and inversions and idiom word-to-word translation…) my French is not very good compared to French standards. my English is not very good compared to English standards. oops! it also gets funny when i try to explain my problem with idioms to British-English people, as my examples come from American-English: according to them i’m simply making up idioms that are neither English or French (but actually American) so talk about me getting confused :$ still, i love my dust-bunnies, both in English and French. Hahaha…you beat me to this post! This topic have been brewing in my head for ages…Totally agree with what you said about the impostor syndrome. I claim to be able to speak English, Malay, Cantonese, Mandarin, Japanese, and French but in truth, I am only truly fluent in English & Malay because I can actually read, write and speak the language. Even though I am fluent enough in Cantonese to emcee a traditional Chinese wedding banquet in my “mother tongue” and likely pass as a local if I speak it in Hong Kong, I (sadly) cannot read or write enough of it to claim total fluency. there is one major plus side of growing up in our country – we often speak multiple languages from very young age. for your kids, i guess english is a simple choice since it is the common languages that they could use in the countries that they had lived/are living in. i also claim to be bilingual (english & malay) and i would say i score 4/4 for both. at home in malaysia we spoke manglish. i can understand several chinese dialects, mostly obscenities, but i watched a lot of cantonese serials growing up and i always got mistaken as chinese so had to learn enough to get by. can’t read any of it (other than numbers 1-9). i read arabic but do not understand most of it. also i can read/write/converse simple russian (2 years intensive course in college) – used to be more than simple stuff but use it or lose it and really i don’t have many people with which to converse in russian. and due to living with a professor of the spanish language, i have picked up a lot of spanish too. i mostly dream in english. when thinking, it depends on the context. if thinking about raya and puasa, and food then i think in malay. business/work/technical stuff i think in english. i should feel lucky each time i butchered french, i still get to keep my friends and the other french are forgiving about it! How to determine levels of language competence interests me a lot, as I am fluent in spoken French, and for listening. However my written French level is much lower! Another reason this whole subject interests me is because of my 6 month old baby. We want him to be bilingual. We know that each parent is supposed to ALWAYS speak their own language to the baby…this is not always practical so I start to feel guilty! I’m guilty of not making enough effort in French yet, which probably explains the plateau. I started reading a bit more, but I’m not listening to news or radio. Day-to-day conversations can only vary so much in terms of vocabulary. An Italian ex-colleague and her Irish husband speak Italian at home with the kids – and they absorb English from everywhere else – media, school etc. Perhaps both of you could make English the main household language (even if imperfect from your SO’s part) and let your baby absorb French everywhere else? Disclaimer: I don’t know if this is a foolproof method. my friend has twins (age 6) who are trilingual – they speak and write english, russian and german. he said they were very strict and he spoke only russian to the kids and his wife only german, but like my hubs and me, their common language was english. so he said just be disciplined and lose some direct contact with your spouse. e.g., he would tell them about his day in russian, they would tell him about their day in russian. their mom and them converse in german. then the kids had to tell their dad about their mom’s day (thus translating from german to russian) and vice versa. It’s a cool post – and you talk about things I have almost daily conversations about. We always want to talk about our levels of fluency in a language, for one reason or another, but there’s really no good way of doing it. I find it the most difficult when updating my cv – what level of fluency should I claim? Standardised tests, IMO, are relatively useless with this (not to mention the fact that the non-English languages I speak well enough to care are small languages that no one would ever have a test for). Also, when it comes to language, written language is a secondary thing. We think of it as part and parcel of the language because it has become that way in our society – reading and writing are so closely entwined with language in our everyday life that we give them the same status as other aspects of the language. We talk about the four aspects – reading, writing, listening, speaking – when we talk about learning a language. But language is a natural part of being human – written language is a human invention. The processes of learning them both are very different (though, as you pointed out, they can aid one another). From a linguistic point of view, your ability to read/write in another language has nothing to do with whether or not you know that language. I’ve been trying to teach this point to my students just this last week. Another thing that irks me when people talk about multilingualism and fluency in another language – especially languages like Mandarin, English or French – is this notion that to be fluent in the language you must therefore speak some grammatically ‘correct’ form of some standardised dialect. Again, linguistically this idea has no merit whatsoever. In fact, the ‘rules’ that tend to go along with these more formal dialect tend to also be somewhat manmade – someone’s idea of how you ‘should’ speak. Other dialects may be considered substandard by society – but linguistically they are not, and definitely should be included when talking about fluency in different languages. For myself, I’ve noticed so many changes in my English over the years. After nine months in PNG, where I rarely spoke English, my English skills really diminished. My vocabulary atrophied to shocking levels (that I don’t think I’ve ever really fully recovered). And up until I went to PNG, I was basically monolingual (with some very basic French knowledge that doesn’t even give me the skills to hold up a basic conversation). So I quickly was losing some levels of proficiency in what was, up until that point, my only language. I have a lot of friends in China comment to me about how their English has taken on aspects of Chinglish. It’s not Chinese that’s interfering (because many of them don’t speak much, if any, Chinese.) It’s the English that’s spoken around them by Chinese speakers – and it seems it’s also the English that they speak with Chinese speakers. Not using difficult vocab, etc. – you seem to lose it. I also think of my grandmother who moved to Canada when she was five. Her first language was German, and didn’t start learning English until she was older. But she doesn’t use German and hasn’t for most of her adult life – and she no longer knows how to speak it. When I think about PNG, I think in Vinitiri (the langauge I speak there). Otherwise I think in English. Dreaming is different altogether. If the context makes sense, I can have, at least bits and pieces, of any other language I know a bit of. English and Vinitiri, of course, because I’m the most fluent in those. And Tok Pisin and Kuanua (both also from PNG) get thrown in at times. I’ve definitely even had Mandarin bits in my dreams, despite the fact that I (sadly) have only a very crude, basic skill level in Mandarin. Sometimes when I try to think about what I’m going to say in Chinese here, words in Vinitiri pop into my head instead. I’ve even used them when speaking Chinese, and of course, people get really confused. It was the same when learning Vinitiri – bits of French popped in all the time. Never English though. It seems to be a common phenomenon. that’s a very interesting comment sheena! i’m glad for your clarification on the read/write/speak/listen front – i have never quite think it that way since i’ve been pretty much following the logic of “achieving fluency means ticking all four boxes”. for me, the notion of fluency is not, however, linked to being grammatically correct of dialect per se (as previously mentioned, we use a lot of mix-match when it comes to dialect use, and i know for sure the dialects i speak would be terribly misunderstood by other speakers of the same dialects from elsewhere, because some of the manner i speak would have been “localised” to where i learned it first. not at all critical! it is very interesting but unfortunately i’ve been very busy lately to discuss more. languages are so fascinating! and even in terms of particular chinese dialect use, i’m very aware that mine has been put through the melange with local words, so if i am to speak with a chinese from, say, the mainland, who claims to speak one same dialect, chances are they would find it more difficult to understand me than the other way round, as i have 3 other dialects to draw references to and “locate” the meanings. i think. I admire your English writing skills. I wish I have all those vocabularies to use when blogging. I consider Hokkien as my mother tongue. At work I deal often with numbers and I always count in Hokkien, or sometimes mandarin. Another aspect of language: what would you teach your kid out of so many languages that you know? I chose Mandarin right at the beginning. My husband supported my decision but he didn’t understand that, as a Malaysian, why didn’t I teach my daughter Malay. He can’t understand the co-existence of different languages in Malaysia. For him, someone who migrates to France has to speak French and his / her descendant will speak French. i think children should not miss out of family languages, so malay would be lower on my priority too as opposed to chinese and its various dialects. but i wouldn’t oppose to sneaking in malay words here and there so there’s familiarity too. unlike france, malaysia operates on a multi-lingual system whereas france is, relatively speaking, a mono-lingual country. immigrants to france would find it difficult to deal with all day-to-day administrations etc without speaking french. in malaysia, we have multiple options. even at the very least, english works well in replacing malay as mode of communication. having said that, the immigrants don’t just lose their mother tongues and would continue to use them with their children. afterall, they would have extended family (from home countries) to communicate with and who could very well not speak a lick of french! my niece now lives in ireland and there’s no doubt as she grows up english will be a dominant language for her. but within family, we’re using our usual mix of chinese dialects so hopefully she’ll pick those up too and use them.